Once upon a time some engineers decided to change the course of history. Thinking about the way to make communication more efficient and easier, they had a brilliant idea to create a system that would be able to perform the communication between wireless phones. The idea was not bad, but the technology of the time did not allow putting it into life. It all started in 1947, but the ideas didn�t go further than the theory and a little practice. → MP3 → Smartphone → 3G → iPhone → Samsung → LG → Nokia → 4G → ??? The real history of the mobile phone, also known as cellular, began in 1973 when the first call from a mobile phone to a landline was made. It was in April 1973 that all the theories proved the perfect work of the phone and that the cellular network suggested in 1947 was designed correctly. At that time this event was not widely known, but it certainly left its mark forever and totally changed the history of the world. Several manufacturers were tested between 1947 and 1973. However, the first company that presented a working phone was Motorola. The name of the device was DynaTAC, but it was not for sale to the public (it was only a prototype). The first model released commercially in the U.S. (some other countries had already received devices from other brands) was the Motorola DynaTAC 8000X. It came out in 1983, ie ten years after the first test. The first generation of cellular phones was not really portable � it was mostly developed for installing in cars. Most mobile phones weighed on average 1kg (yes, it�s not a mistake) and had almost absurd dimensions of 30 cm high. Of course, this was just the beginning, and the trend was to reducing the physical size and adding the functions. The price was, of course, astronomical, because not everyone had a car to get these "encumbrances." Early in the 90's the manufacturers were ready to launch new devices with an acceptable size and weight that couldn�t hurt anyone. The second generation of devices would not only present new equipment, but would also adapt to new standards of communication. Three main technologies prevailed at that period: TDMA, CDMA and GSM. The second generation of mobile telephony stayed until the turn of the millennium (perhaps a little earlier or later) and brought several innovations, including some of the listed below. 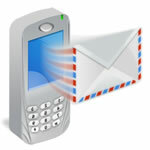 An indispensable function for many people is the message service (SMS). Few people know that the first text message was sent in 1993 via a Finnish carrier. Here in Brazil it took a long time to get this technology. After all, the Brazilian carriers were still thinking about installing landlines to customers. Text messages were not a big deal back then, because they were limited to a few characters and did not allow the use of accents or special symbols. Furthermore, it was difficult to use the SMS service, because in addition to your phone also your recipient needed to be compatible with the technology. Mobile phones capable of sending text messages often came with an alphanumeric keyboard � after all, the device should comprise letters plus numbers. Cell phones had somewhat annoying bells. However with the advancement in technology and equipment operators, ringtones monophonic and polyphonic, custom began to appear. This factor made people spend "rivers" of money just to have a favorite tune as a ringtone. Without doubt, everything was for the consumers. But something was still missing for the cell being complete: the colors. The monochrome devices simply did not convey all that our eyes could perceive. Soon, manufacturers introduced displays with grayscale, a feature that allowed us to distinguish images. Nevertheless, no one was satisfied because everything seemed unreal. When the first cell with four thousand colors appeared, people thought it was the end of the world � it was an incredible technology for a device so small. It did not take long for the devices to gain incredible displays with 64,000 colors, then 256,000 colors - the images have already appeared and there was no lack of colors. Obviously, the evolution has not stopped and now the devices have as much as 16 million colors, a feature that is crucial in high resolution equipment. With the ability to display color images, it did not take long to start to use the phones for multimedia messaging, also known as MMS. Messaging, in principle, would be useful to send images to other contacts. 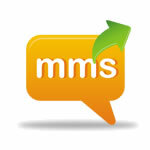 However, with the development of the service MMS now supports even sending videos. It's almost like sending an email. What everyone wanted finally became available on mobile phones: the internet. Of course, the Internet accessible via a mobile phone was nothing like the one used with computers, but it should have evolved very soon. It was necessary to create pages for mobile pro-Pippen (so-called WAP pages) with reduced content and few details. While the mobile operators are rolling out new services, the manufacturers do not stop innovating the functions of the devices. You have just read all the features that the 2G phones had, but you still have to know what the middle generation has brought. Although not officially announced as the second generation, 2.5G was marked by a significant increase in speed of Internet access, the new design of devices and of course a new concept of mobile phone using. The implementation of a phone camera was revolutionary, but today is difficult to find a device that brings a good quality camera with at least acceptable results in any situation. It is quite obvious that the phones haven�t got professional cameras � after all it�s not logical in a device that has communication as an objective. Manufacturers have been introducing advanced technology in the latest apparatus, so that some models such as the Samsung i8910 Omnia HD - check out below for more info on this handset - are already capable of video recording with High Definition resolution and frame rate (30 fps). 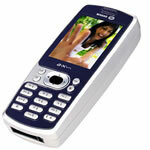 As if not enough this gadget has a technology to detect faces (and smiles) � all with amazing 8 MP camera with a flash. Want more? So wait, soon the Baixaki will publish articles within the series "New Electronics" and you will be able to check out other features of models similar to this Samsung. Today it is common for phones to support MP3 files, but some time ago this has been a great luxury. There was a time when these files did not exist and the hardware makers have only dreamed of a playback function including. Long in coming, but it seems that MP3 function became one of the biggest attractions in the cell, because consumers like to have several functions in one device. 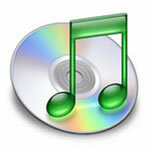 Of course some companies do not restrict themselves to playing MP3 files, and so have added the playback of other audio file types, such as the ACC and WMA. And we should mind that manufacturers have the luxury of adding equalizer, playlists, views and amazing ability to stream audio to two or more headsets. Currently there is a lot of hustle about the cell on the subject of Smartphone. 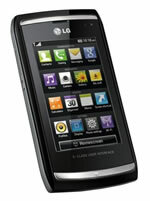 The term was adopted due to the using of operating system on mobile phones. Of course, this ability is restricted to a small number of devices, but the trend is that more and more manufacturers invest in creating of this type of phone. In addition to the operating system, most smartphones bring wireless network access (wi-fi), cameras of reasonable quality (usually the minimum is 2 MP), Bluetooth (some devices are not compatible with the AD2P technology), much more internal memory space and external card space, enhanced range of functions (such as playing files that require codecs, or compatibility with Microsoft Office documents), 3G networks support and more. The operating systems of devices vary dramatically as each manufacturer puts a different system. The main ones are Symbian and Windows Mobile (the iPhone uses Mac OS X). If you want to know more about operating systems for mobiles, click here to check out the article on the subject by Baixaki. Mobile phones seem to have no limits when it comes to evolution. Each time new features appear, improvements are added and everything continues to occupy the same space. The feature that shocked everybody was the presentation of the first touch phone. The most successful device was the iPhone from Apple � it was not just touch, but had the sensitivity to multi-touch, meaning you can control it using several fingers. Each manufacturer made his device different in some aspect. Some brands have included the "multitouch", however not everyone wants to leave the device screen fatty and that made many companies to include a stylus to use this feature. Apple also brought other innovations, which now are used by other devices. But since we are talking about the huge success and hype of Apple, we restrict ourselves to it. 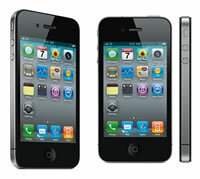 The iPhone has an accelerometer to automatically rotate the screen, ambient light sensor and proximity sensor. The first Apple device did not support the 3G network, and that prevented many consumers from purchasing the unit. The second version of the device came with 3G support and more resources - but nothing really extraordinary. Finally we stop talking about evolution and get back to history. 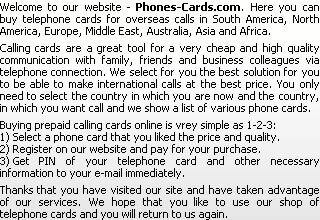 The third generation of phones arrived and we are lucky to enjoy all it offers. The new generation offers several advantages, such as video call, high-speed internet connection, energy saving appliances and Internet functionality without the need for a cell phone (you can use the Internet network 3G modems). Of course the Baixaki would not leave you without knowing more about it, so if you are interested, our website has an article on 3G technology which you can read by clicking here. Evolution cannot stop, so the manufacturers continue to launch more devices with more sophisticated features and even more interesting functions. For those who love technology the following paragraphs perhaps will be very interesting. We will address to some phones that are being manufactured and devices that are already on the market, but the Brazilians still have not seen the incredible technology they possess. Last year Samsung launched a phone called Omnia. This unit was launched simultaneously with the 3G iPhone by Apple, and this overshadowed the success that Samsung could do. 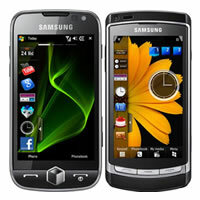 Now, Samsung decided to upgrade the device to a smartphone called Omnia HD. The Samsung HD Omnia has so incredible features that it�s hard to believe it. This new device is due to have an 8 MP camera (with face detection and more), Digital TV receiver (it records the digital signal in 720p quality, hence the term HD in the name of the cell), screen 3, 7 "(inches) with the right resolution of 360x640, up to 32 GB of storage, technology that simulates 5.1 channel audio, access to 3G and more. LG wants to repeat the story of the Viewty. The second version of the device called the Viewty Smart will have a design similar to its predecessor, but with impressive settings. The new device by LG has an amazing screen with resolution of 800 x 480, 3 "(inches), accelerometer and multitouch technology. The device has everything to gain a new audience. Many other features (Bluetooth 2.1, Internet access of 7.2 Mbps, 8 MP camera with face recognition) make fantastic Viewty Smart one of the highlights of the new market. Nokia has always been among the best mobile phone companies, and with its new N97 handset it will certainly receive many compliments. The new technological apparatus of Nokia brings everything that users always wanted. Imagine a phone with touch screen, QWERTY keyboard, 32GB of internal memory (with 16GB more space for external), 5 MP camera (with flash and focus self-regulation) and many other features � and this is the N97, one of the most anticipated phones of all times. Below you can see the promo video of the Nokia N97. By the way it�s a very short video, but it shows what just a little bit of its possibilities can do. Surprise yourself! Just as it took some time for the establishment of 3G, the fourth generation of mobiles (4G) will not come quickly, but there are already some ideas about it. Just as 3G has done, 4G should continue investing in the advancement of data transmission. It looks like the new mobile devices are already working with the IP protocol and are compatible with computer networks, ie, the tendency is that mobile phones are about to turn into tiny computers. Can you imagine what the future will bring? 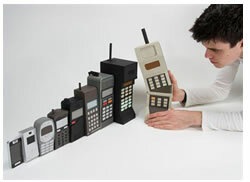 Want to know about the history of mobile phones? Then leave your comment, add something that was not mentioned in the text, tell us something new, we want you to join our site!